We’re so pleased you’re considering chiropractic care, and we’re honored that you’ve chosen to get to know us. To better relax our patients, we offer large, quiet, private treatment rooms for privacy and comfort. Our office is casual, yet professional, with world-class staff available to help guide you through your care. They are knowledgeable and extremely friendly, with their primary goal to ensure your comfort while in our care. As with any doctor, your first visit to Grossman Chiropractic & Physical Therapy will be a bit different than a routine visit, as we take care of administrative matters and get to know each other better. You’ll quickly see that’s where the similarity ends. We want you to feel at ease – no white coat syndrome here. Our consultation and exam are also much more thorough than you are likely to find in traditional medical office. We want to really understand your concerns and help you get to the root causes of your problem. We’ll spend time discussing your health history, your current concerns, and what you hope to get out of your care. Your evaluation and exam will include an assessment of the function of your muscles and joints, as well as your range of motion. If necessary, Dr. Grossman can take top quality X-rays onsite to save you the time and hassle of having to book a separate appointment elsewhere. 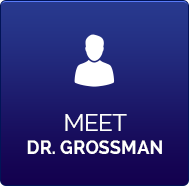 Dr. Grossman will then take time to review the results of your exam, your X-rays, and his recommended treatment plan. Unless there is a significant contraindication, you’ll receive your first adjustment, putting you on the path to recovery. You can expect this first visit to last a little longer than other visits, probably about 45-60 minutes. Typically, your visits will last approximately 20 minutes. Dr. Grossman may discuss your treatment plan with you in more detail, and you’ll receive your adjustment plus physical therapy or other services. The length of your appointment will depend on the treatments you’ll be receiving. As your condition improves, your in-office visits will decrease, and you’ll implement more of your care at home, mostly through stretching and simple exercises. We teach you how to play an active role in your recovery. 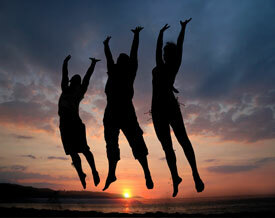 Many of our patients choose to receive regular chiropractic care to maintain ongoing wellness. Our primary goal, however, is to get you back to your baseline health or better. When your condition is resolved, we release you from care. You can always come back for a “tune-up” or if your condition returns, but beginning care doesn’t mean you’ll have to come for a lifetime. Let us get you back to the activities you love. Contact our office to schedule your first appointment and start feeling better than ever.